I absolutely love bracelets and wear them allot. Girl can’t have too many bracelets, especially in different colours and different textures. And the best thing is that you can buy a very cheap bangle and transform it to a gorgeous bracelet. Or make them from scratch. 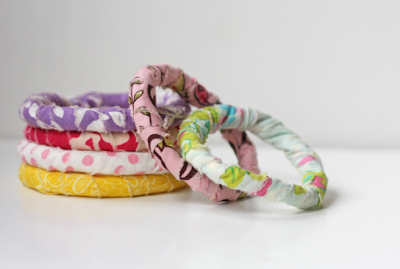 There are many techniques to do so, and today I’ll focus on DIY bracelets made from fabric. So, take out your scraps of fabrics and get started. Sachiko from Tea Rose Home decided to make a bracelet out of a necklace. The result is absolutely gorgeous. I’m in love with the fabric she chooses for this project. Check out the tutorial. All you need for this project is leftover fabrics, thick elastic and coordinating thread and you are good to go. Jill from Frame worthy shot will show you how to make these pretty bracelets. Do you want to add some colour to your wardrobe? Make few of these and wear them all at once. You can see the tutorial on MaryJanes and Galoshes blog. 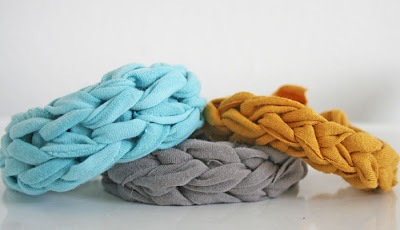 These knitted bracelets look so fancy. Vanessa from V and Co. did very detailed and great tutorial. 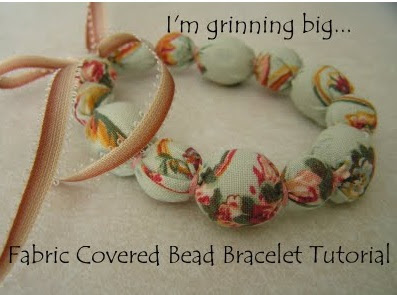 I saw this very pretty braided bracelet tutorial on how joyful and I knew strait away that you have to see it to. 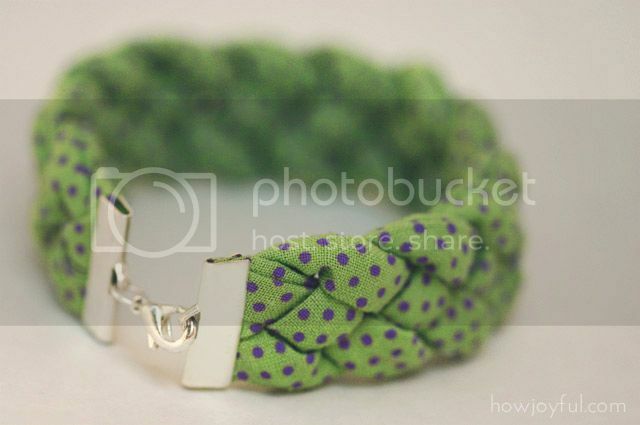 This time the bracelet made from fabric and cord. Thank you for visiting my blog. My name is Yulia, and I love fashion, especially DIY fashion. The blogging world is full of amazing DIY fashion projects, and your ideas absolutely gorgeous. My goal is to find all those wonderful projects and display them in one place. Once in a while I would like to share with you my own crafts projects, all kinds of crafts. You are more than welcome to leave me a comment and share with me your thoughts about my creations and my blog. Please subscribe to my blog to receive the daily updates. Enjoy!